Notably, Reliance Jio also has the Rs. 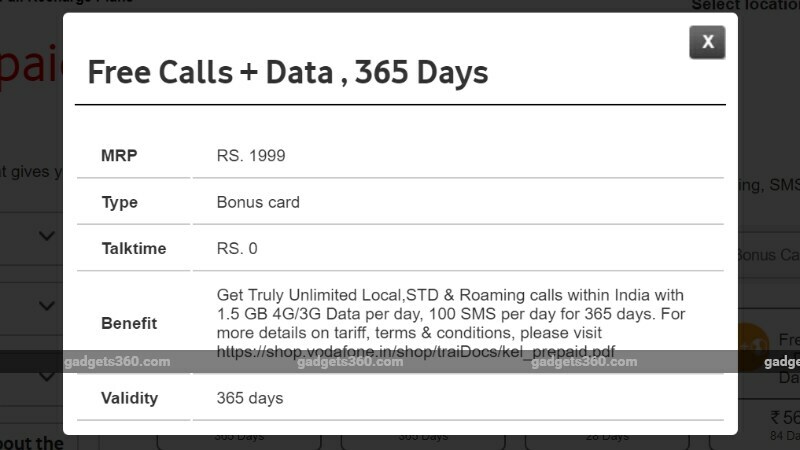 1,699 prepaid recharge plan with similar 1.5GB daily data benefitsto rival Vodafone. The Rs. 1,699 Jio recharge plan comes with one-year validity and also offers unlimited voice calls and access to Jio apps.